Get your hands on five festive weaving projects to decorate your kitchen and table this holiday season – or throughout the year! The patterns in the Holiday Weaving Pattern Pack feature projects perfect to weave during the holidays! Adorn your home with lacey placemats, a rich red diamond-twill runner, as well as towels in Swedish lace and waffle weave. There’s even a set of towels with sweet little rosepath pine trees along the edges. These projects make excellent holiday gifts and can be woven on both 8-shaft and 4-shaft looms! 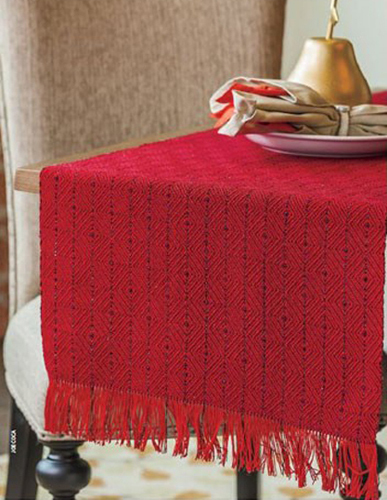 This elegant, 8-shaft, diamond-twill runner woven in warm red will be the talk of your holiday table! It’s a fun project for weavers of any skill level. These 4-shaft huck and huck lace placemats make an incredible addition to your table! The pattern has you weave all four placemats using a different treading, making it ideal for weavers who want to get experience weaving huck and huck lace. 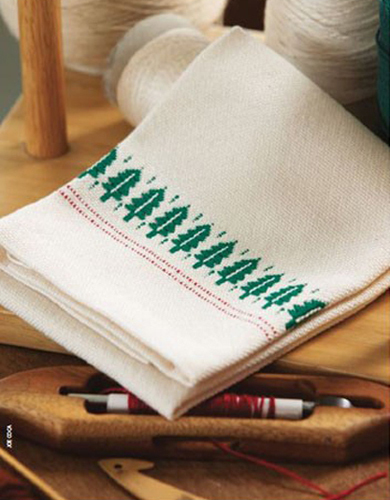 The 8-shaft Holiday Towels with their sweet rosepath pine tree design are sure to delight your friends and family this season! 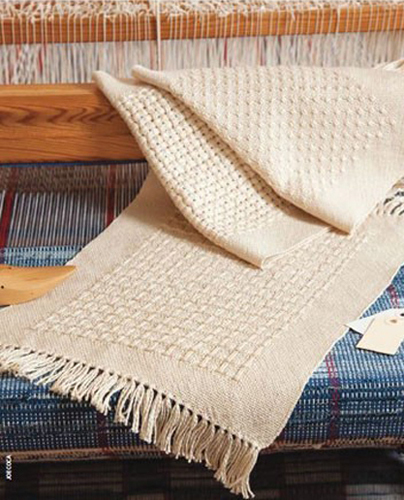 Thread your loom just once and weave four different 4-shaft towels in huck and variations of waffle weave! 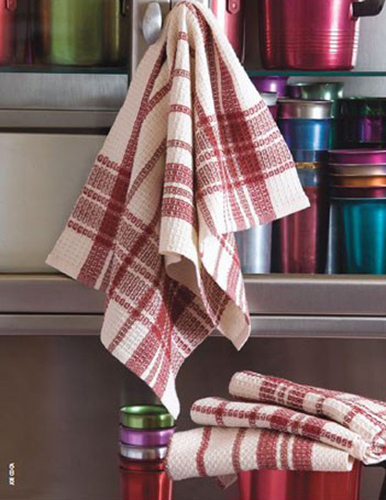 These classic red and white checked towels are certain to brighten any kitchen. 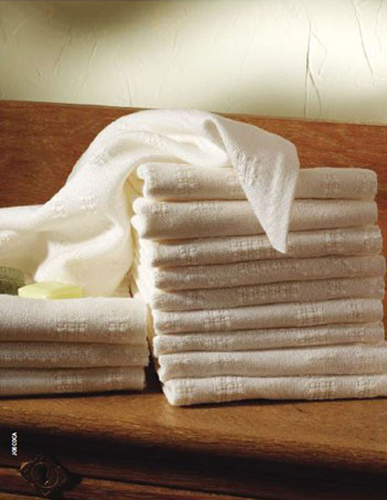 Turn these classic 4-shaft Swedish lace towels into thoughtful holiday gifts! You’ll be able to weave 13 towels using different combinations of plain weave and Swedish lace.